On our way to Santa Cruz, California we stopped in Madera to charge our Chevy Bolt EV. 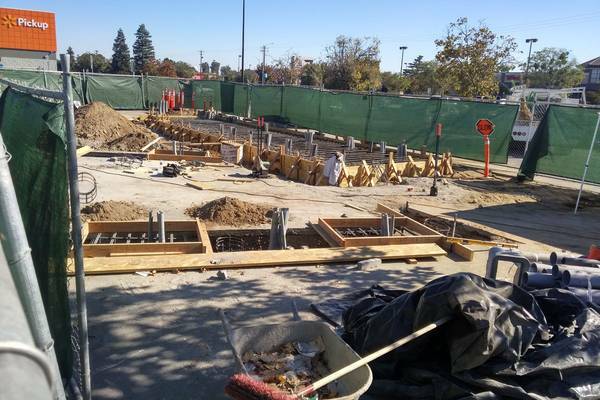 Just a few miles north Electrify America--the VW subsidiary ordered to do penance for its dieselgate scandal--is building a much larger fast charging station. So we stopped by to see its progress. The EA site at a Madera Walmart just off Hwy 99 is hidden behind a privacy fence. Nevertheless, I was able to peer over the top and take a couple of photos with my phone. 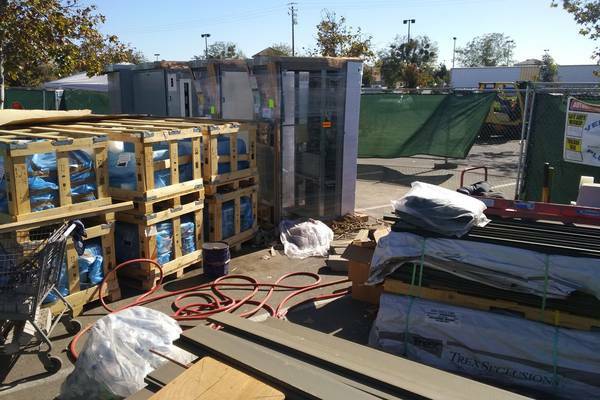 There were tradesmen working on the project and lots of equipment stored on-site, including what looks like the charging cabinets. It appeared they've yet to place the concrete for the cabinet pads and curbing, though the re-bar and conduit were in the ground. I have no idea when EA expects the site to open but from the site's appearance it's unlikely before year end. According to a posting on PlugShare, EA's site will have four CCS kiosks and one CHAdeMO kiosk. The nearest existing DC fast-charging station is the two dual EVgo units at Madera's Save Mart. One of those units is only 100 amps. EA's Walmart site is relatively close to the store. We visited mid-day on a Monday and traffic was heavy in the parking lot with lots of people searching for parking. It will be interesting to see if the stations get ICEd.